An update to Vol. 2, pp. 655–659. Excavations at Jaffa were renewed in 1997, after an interval of 20 years. 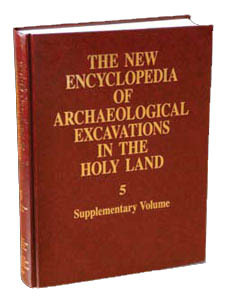 They were directed by Z. Herzog, on behalf of the Tel Aviv University Institute of Archaeology, in conjunction with the Old Jaffa Development Company, and with the participation of Lutherans Interested in the Bible and Related Antiquities (LIBRA) of the United States, and Macquarie University of Sydney. The excavations took place in the area of the Egyptian citadel, the gate of which had been partially exposed during J. Kaplan’s excavations in 1956–1974. Preliminary soundings by the expedition in 1997 were followed by full-scale excavations in 1999, aimed at exposing the interior of the Egyptian citadel, west of the gate uncovered by Kaplan. During the first season, two main areas were excavated, measuring a total of 750 sq m in the southern area and 150 sq m in the vicinity of the gate. Stratigraphic designations employed by the expedition generally follow those established by Kaplan.